Wilmington boasts some of North Carolina’s most popular tourist attractions based on annual attendance. In one vacation you can step aboard a real Battleship or tour a historic Civil War fort, stroll through acres of beautifully manicured gardens, tour antebellum-era mansions, explore arts, history and science museums, and immerse yourself in aquatic fun at an award-winning aquarium. Discover the variety of attractions available for all ages. 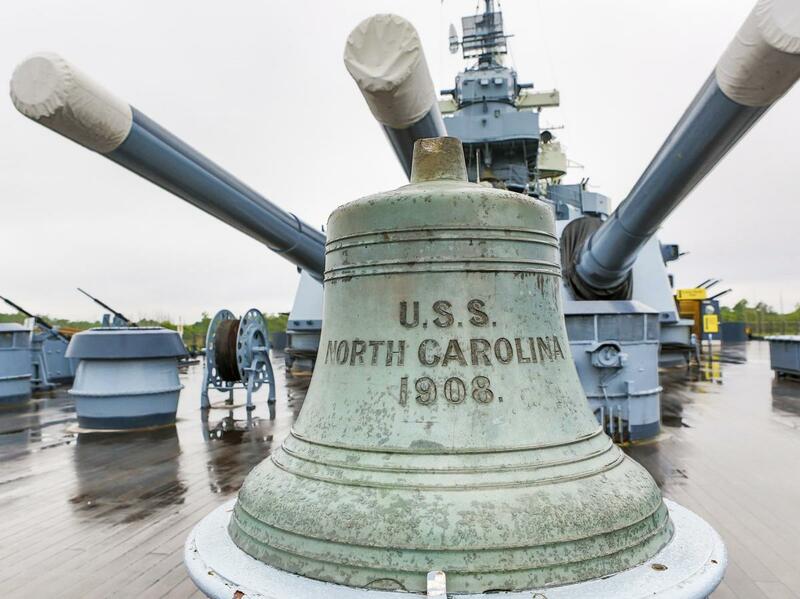 The World War II Battleship NORTH CAROLINA was named one of the “Best Museum Ships” by USA TODAY 10BEST and is fun for all ages. Explore the decks as you experience how the sailors lived aboard the ship during wartime. Step back in time in the Pacific Theatre to envision the active ship set out to battle. Walk along the half-mile SECU Memorial Walkway that honors veterans from all branches of the military. For those on the city side of the river, the Battleship makes for a great photo opportunity from various locations along the Wilmington Riverwalk. Wilmington is home to an array of arts, history and science museums. Visitors are greeted by the skeleton of a 20-foot-tall Giant Ground Sloth found in Wilmington, at the Cape Fear Museum of History and Science. Children and adults alike love to explore the Wilmington Railroad Museum, featuring model trains and a 100-year-old steam locomotive. Kids up to 10 years old play and learn with hands-on exhibits, like the Teddy Bear Hospital and The Science of You at the Children&apos;s Museum of Wilmington. See spectacular examples of antebellum, Victorian and colonial architecture on a tour of the Bellamy Mansion Museum, Latimer House Museum or Burgwin-Wright House Museum. 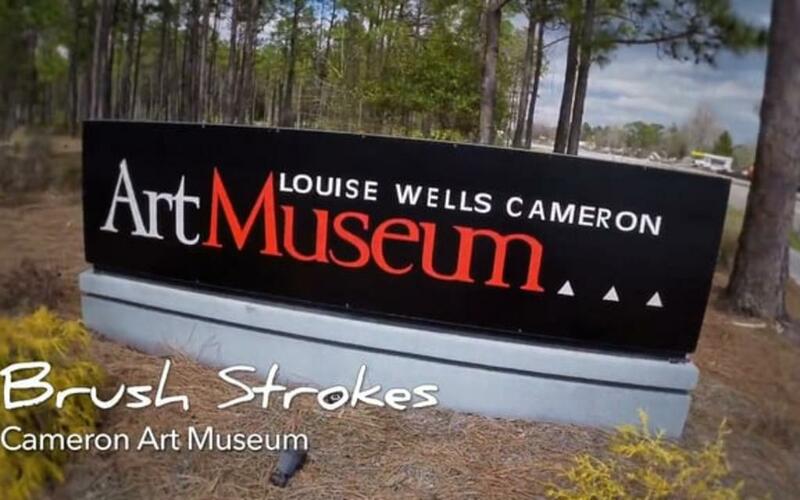 Arts lovers enjoy strolling through the galleries at the Cameron Art Museum as well as the outdoor sculpture garden. Get lost in Airlie Gardens&apos; 67 acres of formal gardens. 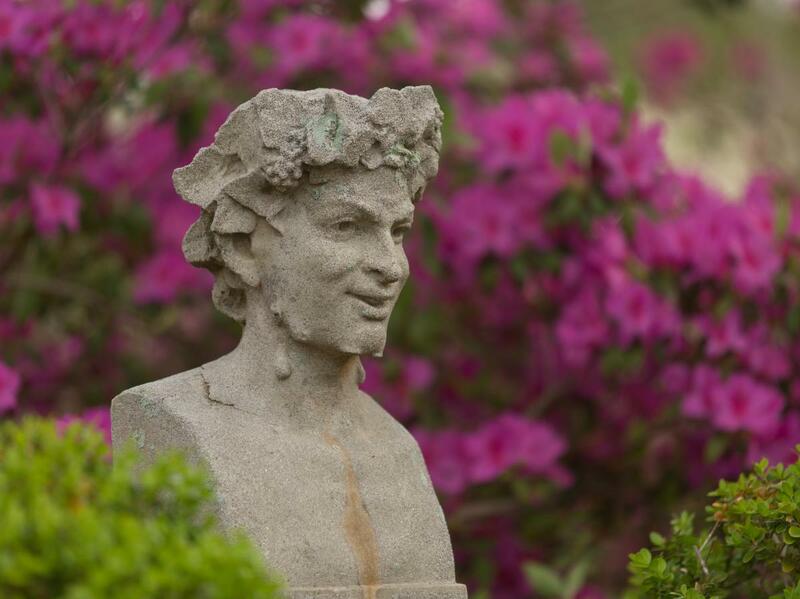 Walking trails guide you through seasonal blooms, centuries-old oak trees, artistic sculptures and peaceful waterways. Over 200 species of birds have been observed within the gardens. Sprouted in 1545, the famous Airlie Oak is the largest Live Oak in North Carolina at 128 feet high. Check the events calendar for seasonal events, like the Summer Concert Series and holiday favorite Enchanted Airlie. To explore more southern gardens, visit the nearby Arboretum at New Hanover County, known for its seasonal specialty flower gardens, koi pond and kids&apos; play area. For a family fun day in the water or on dry land, journey to Jungle Rapids Family Fun Park. 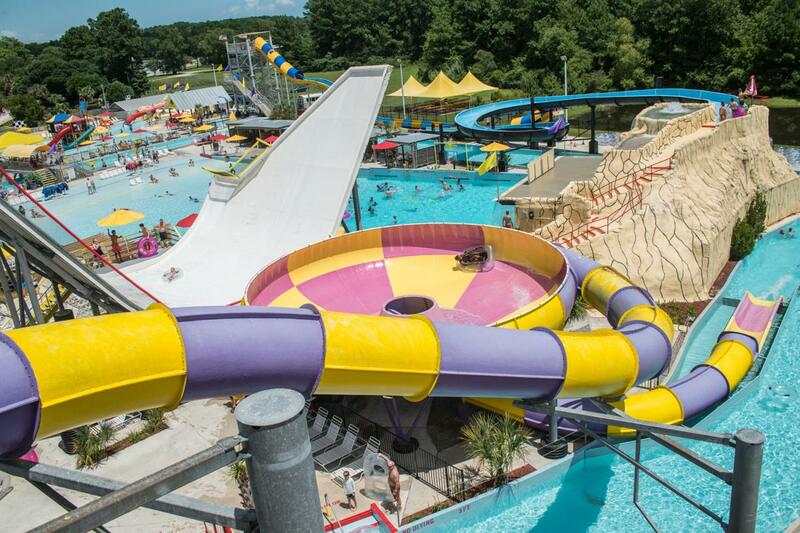 You&apos;ll find the "Best Water Park in Eastern North Carolina" packed with colorful twirling water slides, a free-flowing lazy river and rolling wave pool. On dry land, children and adults love the competition of the Go-Kart course, Mini Bowling lanes and Lazer Tag zone. Practice your putting in the Jungle Golf mini-golf course or drop from 40 feet up on the Sky Tower ride. Head indoors to test your skills in the arcade, romp in the Kids Jungle indoor playground or scale the Rock Climbing Wall. Visit the nationally recognized Carolina Beach Boardwalk, a vintage seaside boardwalk complete with summer amusement rides, local shops, grills and tiki bars and seasonal entertainment. Trek into Carolina Beach State Park to explore miles of maritime forest trails, or venture out on boat or kayak from the marina to find the best fishing spot. Step back in time at the state’s most visited historic attraction, Fort Fisher State Historic Site in Kure Beach, where the largest land-sea battle of the Civil War was fought. Nearby, spend a day at the award-winning North Carolina Aquarium at Fort Fisher. Plan a visit to the historic cottages at Wrightsville Beach&apos;s Historic Square, home to the Wrightsville Beach Museum of History and Fred and Alice Stanback Coastal Education Center. With four unique locales within one destination, browse a wide variety of attractions and activities from the river to the sea. You can almost hear the big guns boom as you roam the decks of this World War II legend. See the real living spaces, mess decks and gun turrets as you explore the ship. 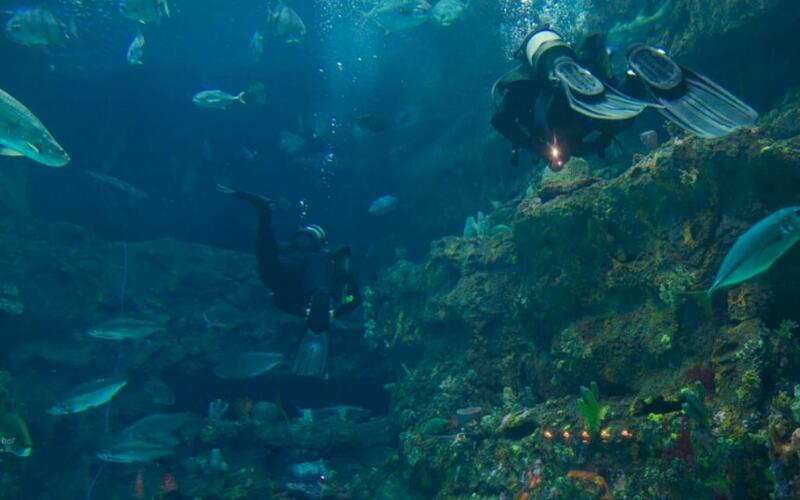 Swim with the fishes - literally - as a diver takes you on an undersea adventure at this award-winning aquarium. Explore the battlegrounds, fort remains and canons at Fort Fisher State Historic Site, the site of the Civil War's largest land-sea battle. See Airlie Gardens from a birds-eye-view as you glide through blooming flowers, peer around centuries-old oak trees and fly over lakes. Browse the shops, grab a snack and wrap yourself in nostalgia as you take a joy ride around the Carolina Beach Boardwalk. Get a sense of what it was like to live at the beach during the early to mid-1900s at Wrightsville Beach Museum of History.